Tibor Richard Machan (/ˈtiːbɔːr məˈkæn/; 18 March 1939 – 24 March 2016) was a Hungarian-American philosopher. A professor emeritus in the department of philosophy at Auburn University, Machan held the R. C. Hoiles Chair of Business Ethics and Free Enterprise at the Argyros School of Business & Economics at Chapman University in Orange, California until December 31, 2014. He was a research fellow at the Hoover Institution at Stanford University, a research fellow at the Independent Institute, an adjunct scholar at the Cato Institute, and an adjunct faculty member of the Ludwig von Mises Institute. Machan was a syndicated and freelance columnist; author of more than one hundred scholarly papers and more than forty books, among them Why is Everyone Else Wrong? (Springer, 2008). He was, until spring 2015, senior contributing editor at The Daily Bell. He was senior fellow at the Heartland Institute in Arlington Heights, Illinois. Machan rejected any division of libertarianism into left wing and right wing. He held that, by its nature, libertarianism is about political liberty for all individuals to do whatever is peaceful and non-aggressive. Machan was a minarchist. Machan was born in Budapest. Machan's father hired a smuggler to get him out of Hungary when he was 14 years of age and he came to the United States three years later, in 1956. By 1965, Machan graduated from Claremont McKenna College (then Claremont Men's College). He took his Masters of Arts in Philosophy at New York University from 1965 to 1966, and his Ph.D in Philosophy at University of California, Santa Barbara, 1966–1971. In 1970, with Robert W. Poole, Jr. and Manuel Klausner, he purchased Reason magazine, which has since become the leading libertarian periodical in America. Machan edited Reason for two years and was the editor of Reason Papers, an annual journal of interdisciplinary normative studies, for 25 years. He was a visiting professor at the United States Military Academy at West Point in 1992–1993 and taught at universities in California, New York, Switzerland, and Alabama. He lectured in Europe, South Africa, New Zealand, Budapest, Hungary, Prague, Czech Republic, Azerbaijan, Republic of Georgia, Armenia, and Latin America on business ethics and political philosophy. He sat on the advisory boards for several foundations and think tanks, and served on the founding Board of the Jacob J. Javits Graduate Fellowship Program of the U. S. Department of Education. Machan was selected as the 2003 President of the American Society for Value Inquiry, and delivered the presidential address on December 29, 2002, in Philadelphia, at the Eastern Division meetings of the American Philosophical Association, titled "Aristotle & Business." He was on the board of the Association for Private Enterprise Education for several terms. Machan was an adviser to Freedom Communications, Inc. on libertarian issues from 1996 to 2014. Machan wrote a memoir, The Man Without a Hobby: Adventures of a Gregarious Egoist (Hamilton Books, 2004; 2nd edition 2012). On 24 March 2016, he died at the age of 77. Machan's work usually focused on ethics and political philosophy, specifically natural rights theory, as in works such as Individuals and Their Rights (Open Court, 1989) and Libertarianism Defended (Ashgate, 2006). He defended the arguments of Ayn Rand for ethical egoism, and also wrote frequently on business ethics, a field in which he deployed a neo-Aristotelian ethical stance whereby commercial and business conduct gain their moral standing by constituting extensions of the virtues of productivity and prudence. He argued that the field presupposes the institution of the right to private property (one cannot trade what one does not own or hasn't been authorized to trade by the owner) in the works, The Business of Commerce, Examining an Honorable Profession, and A Primer on Business Ethics, both with James Chesher, and The Morality of Business, A Profession of Human Wealth Care (Springer, 2007). His full ethical position was developed in his book Classical Individualism: The Supreme Importance of Each Human Being (Routledge, 1998), and it is applied in, among other books, Generosity: Virtue in Civil Society (Cato Institute, 1998). Machan also wrote in the field of epistemology. His main focus was to challenge the conception of human knowledge whereby to know that P amounts to having reached a final, perfect, timeless, and finished understanding of P. Instead, Machan developed Ayn Rand's contextual conception of human knowledge (from Rand's Introduction to Objectivist Epistemology), but also draws on the insights of J. L. Austin, from his paper "Other Minds", and Gilbert Harman, from his book Thought, in works such as Objectivity (Ashgate, 2004). Machan worked on the problem of free will and defended a secular, naturalist (but not materialist) notion of human initiative in his books The Pseudo-Science of B. F. Skinner (1974; 2007) and Initiative: Human Agency and Society (2000). Machan argued against animal rights in his widely reprinted paper "Do Animals Have Rights?" (1991) and in his book Putting Humans First: Why We Are Nature's Favorite (2004), but he also wrote on the ethics of animal treatment in his book Putting Humans First (2004). He was also a skeptic as to whether governments are able to help with global warming and whether human beings have made significant contributions to climate change. On May 1, 2011, Machan was featured in a three-hour interview on C-Span 2's In Depth program as its selection of an author from the Western United States of America. Machan lived in Silverado Canyon, California. He was previously married to Marty Zupan. They had three children and four grandchildren. The pseudo-science of B.F. Skinner. New Rochelle, N.Y.: Arlington House Publishers. 1974. "Recent Work in Ethical Egoism," American Philosophical Quarterly, Vol. 16, No. 1, 1979, pp. 1–15. (co-authored with Rainer Ebert) "Innocent Threats and the Moral Problem of Carnivorous Animals," Journal of Applied Philosophy 29 (May 2012), pp. 146–59. "Impractical pragmatism". Philosophy Now. 95: 30. Mar–Apr 2013. ↑ Machan, Tibor R. (2008). "6. Reconciling Anarchism and Minarchism". In T. Long, Roderick. Anarchism/Minarchism: Is a Government Part of a free country?. Ashgate Publishing Limited. p. 60. ISBN 978-0754660668. Against these [early individualists and anarchist libertarians] have stood, recently, Ayn Rand, and most of her students, such as David Kelley and myself, as well as other libertarians, such as John Hospers, Douglas B. Rasmussen, and Douglas J. Den Uyl, all of whom have denied the alleged anarchist implications of libertarianism. 1 2 Tibor R. Machan (August 1, 1988). "Born 3/18/1939 in Budapest, came to USA 1956, served in USAF and got degrees in philosophy; have three children and three grandchildren.". Twitter. Retrieved March 14, 2015. ↑ Tibor R. Machan (August 1, 1988). "A Passionate Defense Of Libertarianism". The Heritage Foundation. Retrieved March 14, 2015. ↑ "Tibor R. Machan: Curriculum Vitae". Anthony Flood. Retrieved March 14, 2015. ↑ "Death penalty is fatally flawed". Orange County Register. December 19, 2005. Retrieved May 26, 2015. 1 2 Gillespie, Nick (March 25, 2016). 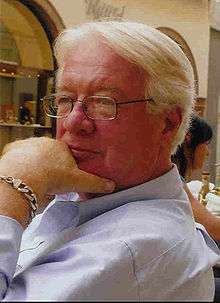 "Tibor Machan, a Founding Editor of Reason, RIP". Reason.com. Retrieved March 25, 2016.